Apple Care Explained – Is it Worth it? AppleCare is a service that is offered by Apple Inc in their retail stores and on their website. Every new Apple computer comes with a one year AppleCare. It is a comprehensive warranty that protects against everything except for accidental and water damages. If anything goes wrong with your Macbook or your iMac within the first year, you can just bring it in to any Apple location and they will fix it for you for free. If the problem is unfixable, they will give you a new machine on the spot. You can purchase AppleCare for an additional fee that will cover the computer for two more years. So, for the first year everyone has a free year of AppleCare. If you want to extend that warranty you will need to purchase AppleCare. The price depends on what kind of computer you are buying, but it usually is a perfectly reasonable fee. Most mac users swear by AppleCare as a service that has more than paid for itself countless times. Because of Apple’s generosity and dedication to customer service, it is not a rare occurrence to see Apple Care purchasers getting new laptops near the end of their warranty cycle. One important thing to remember after Apple Care Explained is the fact that you can purchase AppleCare anytime during your first year of ownership. Maybe you don’t have the funds for it when you buy your laptop, but you realize it would be a good idea in the future. 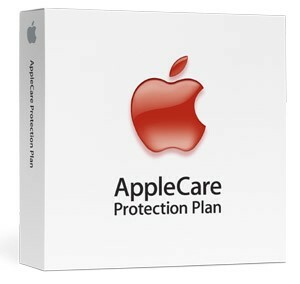 Up until the point where your warranty runs out, you can buy that license for AppleCare and have the added protection. The most common thing to be replaced in a Apple computer is the logic board. The comparable part on a Windows machine is the motherboard. If you choose not to get Apple Care services you will have to replace those parts yourself. One logic board repair will be roughly twice the price of the AppleCare that you purchased. The bezel on Apple’s mac line is also a fairly common issue. Either it cracks, or it gets tons of dirt build up on the palm rests. Apple Care Explained – Should you purchase? Most users after learning about the benefits of Applecare will purchase the services. It is a tremendous bargain and one that provides piece of mind to millions of Apple users around the world.